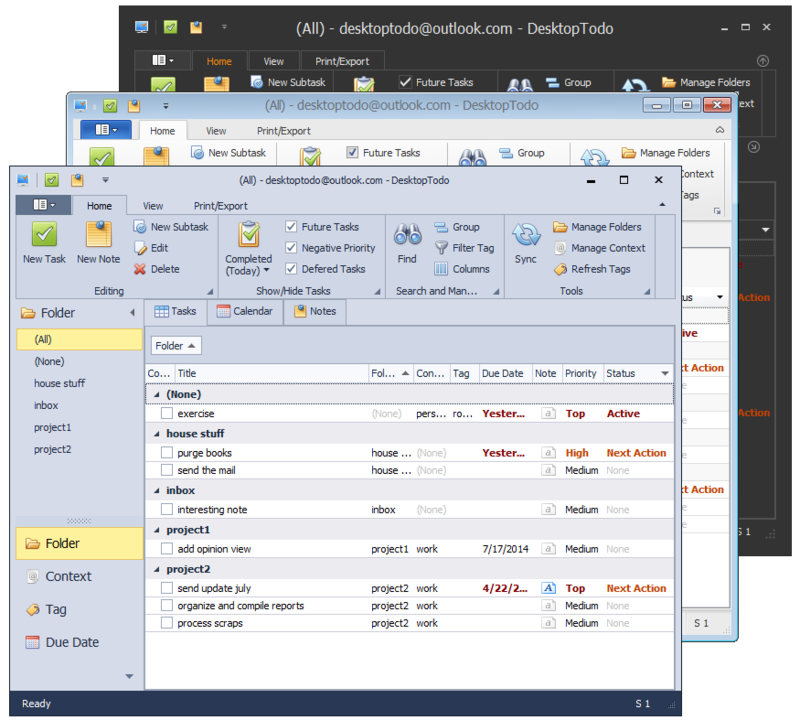 DesktopTodo is an advanced Task Management Software for Windows Desktop. It has many features to help you manage your demanding task management needs beyond what can be provided by generic task management software. It support many tools to help you manage your task the way you needed. It support folder, context, start/due dates, tag with grouping, filtering and searching capabilities. You can group your task on any number of level you need. 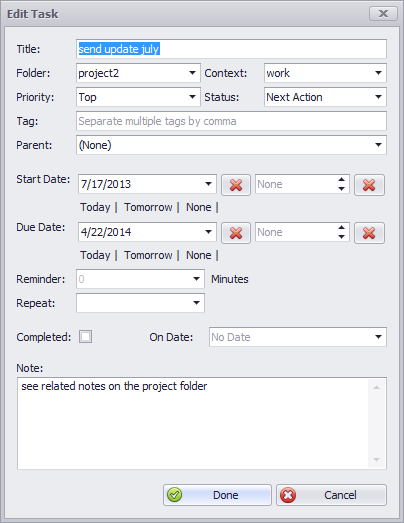 If you have a complex task, you can add subtask to it to make it more manageable. You can control the kind of task shown on the application bar. 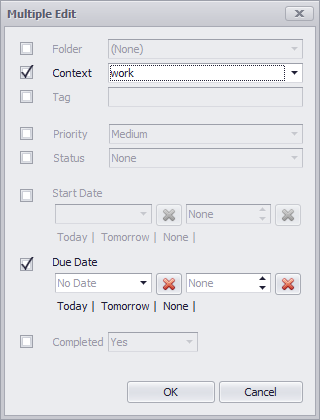 You can show/hide task based on their completion, dates, priority and status. You can further filter it by tag. You can edit the task in DesktopTodo efficiently. 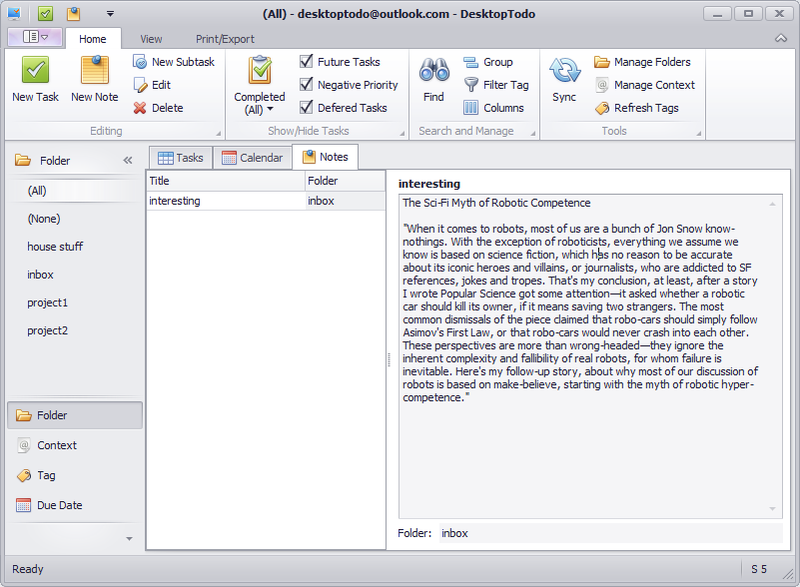 You can use its inline edit feature for quick edit or you can popup its full task dialog for full control of your editing. You can also do the editing in batch multiple item edit dialog. 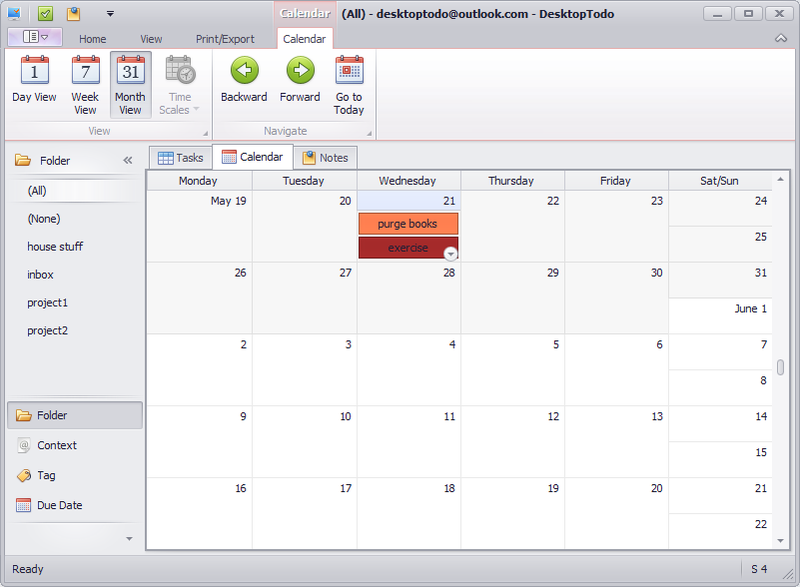 The calendar view will help user with visualizing and organizing from the date perspective better. You'll see at a glance what your commitments are by date and enter task on specific date quickly. 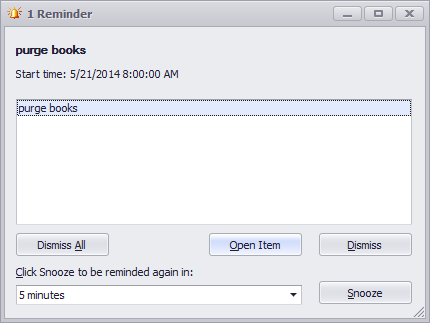 You can setup reminder for your task with due dates to remind you when its due and avoid you from missing it. You can add your note support right inside DesktopTodo itself with its integrated note support. Your relevant data will always be near-reach. You can sync your data on DesktopTodo to Toodledo service so you can access it on any of your devices with compatible apps in it. This way you will never lost access to your task list so you can review and complete it anywhere with less effort.